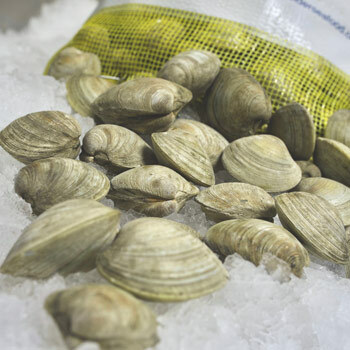 The clams offered by Schneider’s Seafood + Meats come in a variety of sizes. Top neck, middle neck, and little neck clams are sourced from Rhode Island and Canadian harvesters. We work directly with the harvesters, cutting out the middleman to ensure our customers receive only the freshest clams. We stock the largest selection of clams in Western New York. Schneider’s Seafood + Meats is capable of delivering the most sought-after varieties of oysters, including bluepoint and malpeque shell oysters. In recent years, both have become especially popular in restaurants. We buy East Coast & West Coast oysters directly from harvesters and always have over a dozen varieties in stock. Despite being low in fat and cholesterol, the Prince Edward Island mussels and wild Maine mussels from Schneider’s Seafood + Meats are packed with flavor. They’re also known for being loaded with protein and minerals and are very healthy for you. 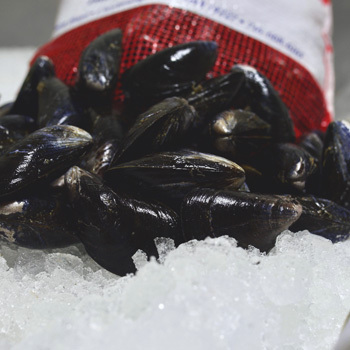 We obtain our mussels in bulk directly from harvesters in Prince Edward Island, Canada and Maine cutting out the middleman. Both are brought back to the Buffalo and Western New York area as quickly as possible for distribution. All mussels are inspected prior to shipping to guarantee freshness. When your customers demand only beautiful, whole, top-quality scallops as part of their dining experience, they deserve the Chef Pack. 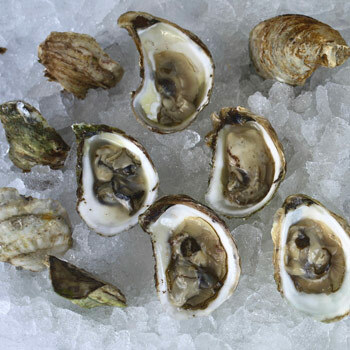 Harvested from the pristine waters off the Gulf of Maine, these local delicacies are sweet and firm with a full-bodied flavor. As an all-natural dry scallop, they maintain their size and distinct flavor when prepared, and sear beautifully. 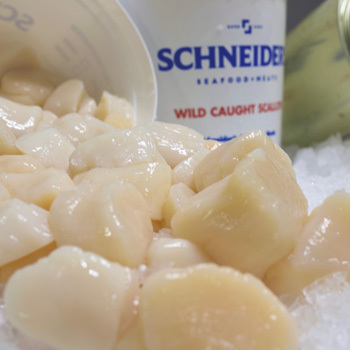 Chef Pack scallops are always hand-graded to ensure true counts and any splits or pieces are removed. The fishery is also MSC certified as sustainable. The result is a consistent, premium-quality scallop that is simple to prepare and a pleasure to eat. In order to provide your diners with the very best seafood dishes, it’s essential to work with an experienced, honest and reliable vendor. Schneider’s Seafood + Meats maintains control throughout the entire shipping process to help ensure quality, freshness, and an extended shelf life for the seafood you order. For example, we handle clams from the time they’re ordered to the time they’re dropped off at your restaurant, ensuring we leave nothing to chance. We want to make sure that your dishes come out the same, plate to plate and day to day. Call or complete a form today to get in touch with a representative from Schneider’s Seafood + Meats. It is easy to become a new customer and have Schneider’s as your preferred vendor for premium clams, mussels and oysters.